A QR Code is a two-dimensional barcode that is readable by smartphones. It allows to encode over 4000 characters in a two dimensional barcode. QR Codes may be used to display text to the user, to open a URL, save a contact to the address book or to compose text messages. “QR Code” is a registered trademark of DENSO WAVE INCORPORATED. No! There is no restriction of any kind. You can use these QR Code images for whatever you like, also commercially. 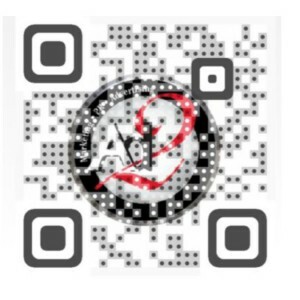 Please note that the word “QR Code” is a registered trademark of DENSO WAVE INCORPORATED. If you want to use it, you have to add a trademark comment. Please see here for details. After signing in with a Google Account, this site also allows you to generate Dynamic QR Codes (available under My Codes). They can be handled exactly as our normal QR Codes. We automatically create a static URL for you that points to your actual content. We provide simple view tracking for these Codes. You can also enter a Google Analytics Tracking ID for advanced tracking.